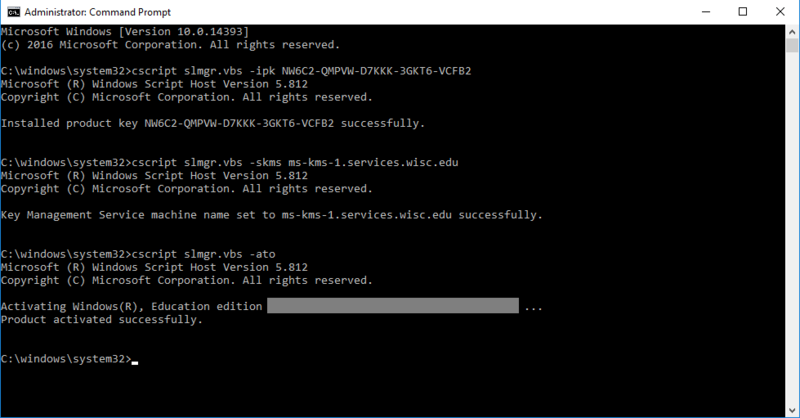 This document shows how to convert a Windows 7 Enterprise, Windows 8 Enterprise, Windows 10 Enterprise, Windows 10 Education, Windows 10 Enterprise LTSB, or Windows 2012 Server computer to and from KMS activation and MAK activation, as well as help determine which activation type is currently in use. These activations are available for faculty and staff using departmental machines. 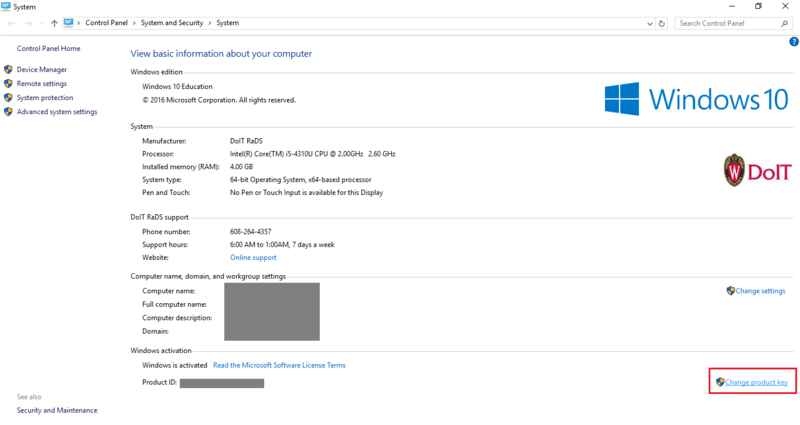 Other versions of Windows are not eligible for KMS or MAK activation. 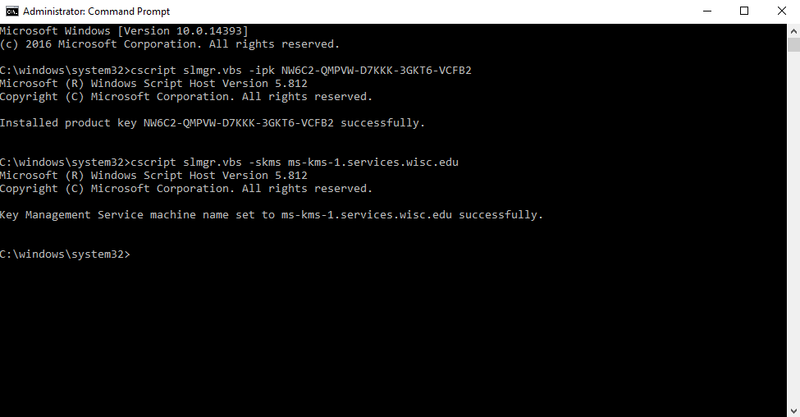 See Volume Activation 2.0 at UW-Madison for the full details of MAK and KMS activation at UW Madison. 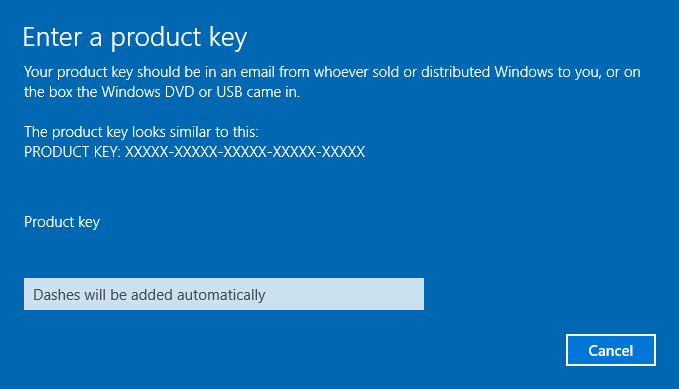 If you are affiliated with the University, email help@doit.wisc.edu to request the University's Windows 7 Enterprise, Windows 8 Enterprise, Windows 10 Enterprise, or Windows Server 2012 MAK activation key, otherwise use the product key which came with your copy of Windows. 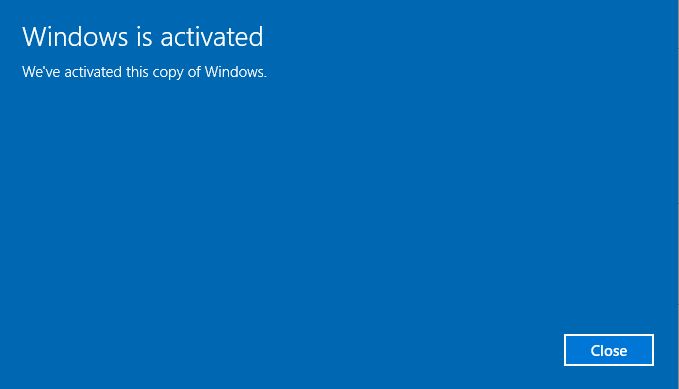 Click Change product key in the Windows activation section at the bottom of the System menu. Enter the MAK activation key from the help@doit.wisc.edu email you received into the Product Key field and click the Next button. 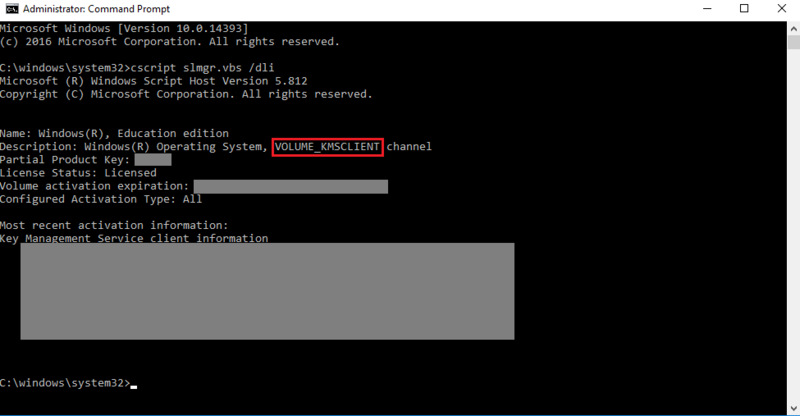 Refer to the KMS Client Setup Keys Microsoft doc for KMS client setup keys. 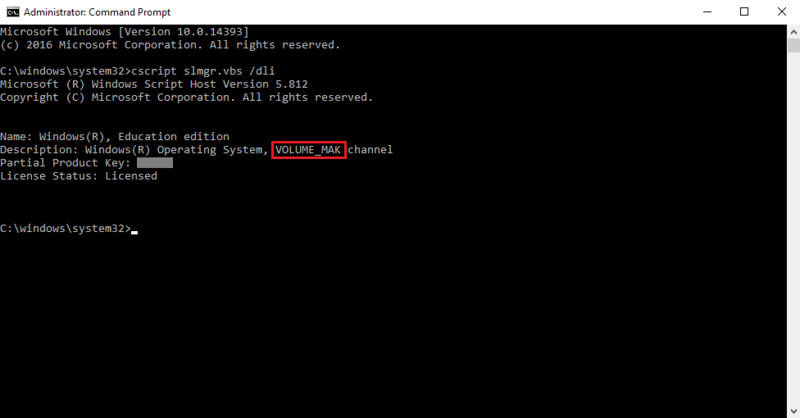 Type cmd in the Search bar to locate the command window. 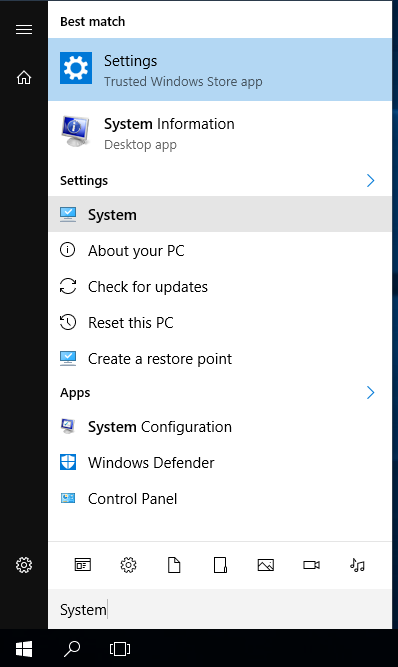 Right-click on cmd or Command Prompt and click Run as administrator from the context menu. 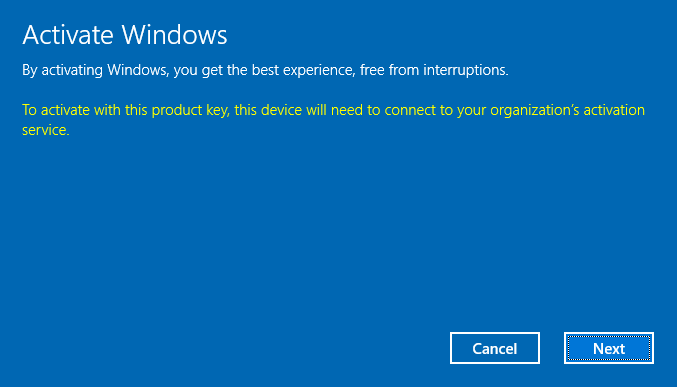 Click Yes at the User Account Control prompt to open the command window with elevated privileges.